Power Build® - Organic Colour Systems Ltd. Formulated to restore protein and repair the structure of the hair. 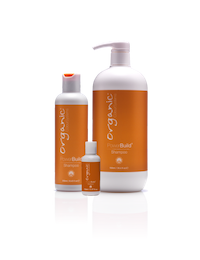 Organic Colour Systems Power Build® uses certified organic natural sunflower seed extract and natural extracts of lemon, apple and green tea, along with wheat protein and vitamin B5 to add strength and volume to weak hair. 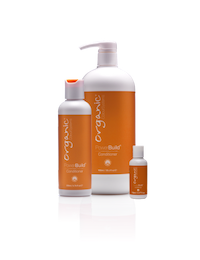 Power Build® also renews shine and suppleness and improves colour retention. SLS, SLES and sodium chloride free. Vegan friendly. Contains 100% natural black raspberry and vanilla fragrance. 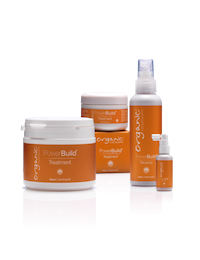 Organic Colour Systems Power Build® range is ideal for clients with over processed hair that is breaking. Key natural & organic ingredients. Comfrey – Soothes, protects and moisturises. Chamomile – Conditioning and anti-inflammatory properties. Sunflower Seed Oil – Conditioning agent. Green Tea Leaf – Antioxidant. Gluten free wheat protein – To boost moisture in the hair and leave a mirror-like shine. Sweet Almond Oil – Condition and sheen. Quinoa – Powerful strengthening properties. When to use Power Build®. For hair that stretches but doesn't return during the Wet Stretch Test. 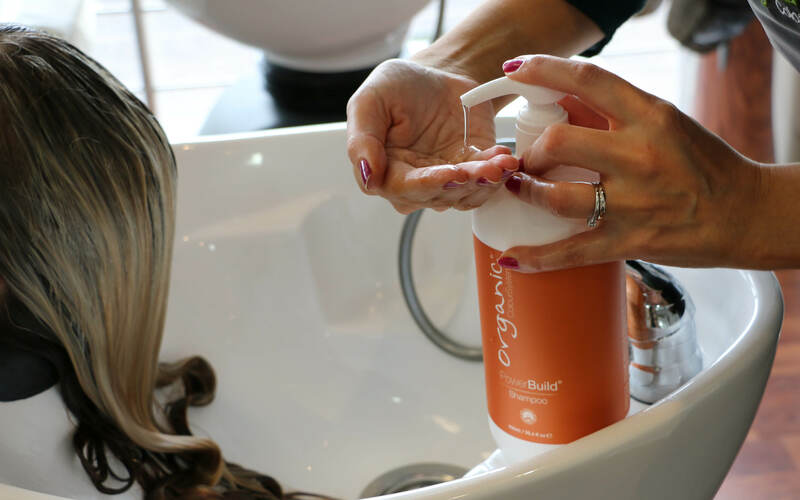 Our Wet Stretch Test is the perfect way to analyse your clients’ hair and identify which Organic Colour Systems care products to use for best repair and colour results. Watch our video to see the Wet Stretch Test result you’d expect to see for hair that would benefit from our Power Build® range.